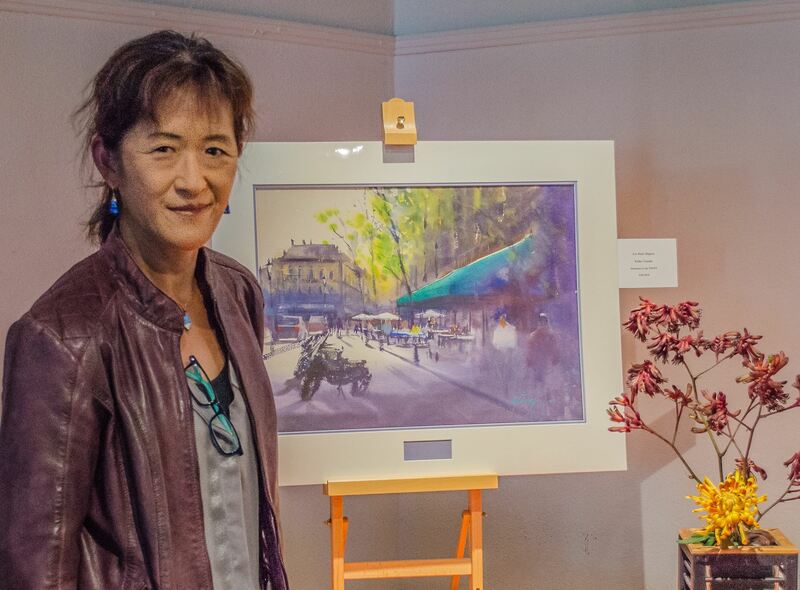 Keiko Tanabe, NWS, our guest juror for the 2018 Fall National Exhibition and Fall Workshop Artist, donated the painting she completed during her public painting demonstration on October 1, 2018. 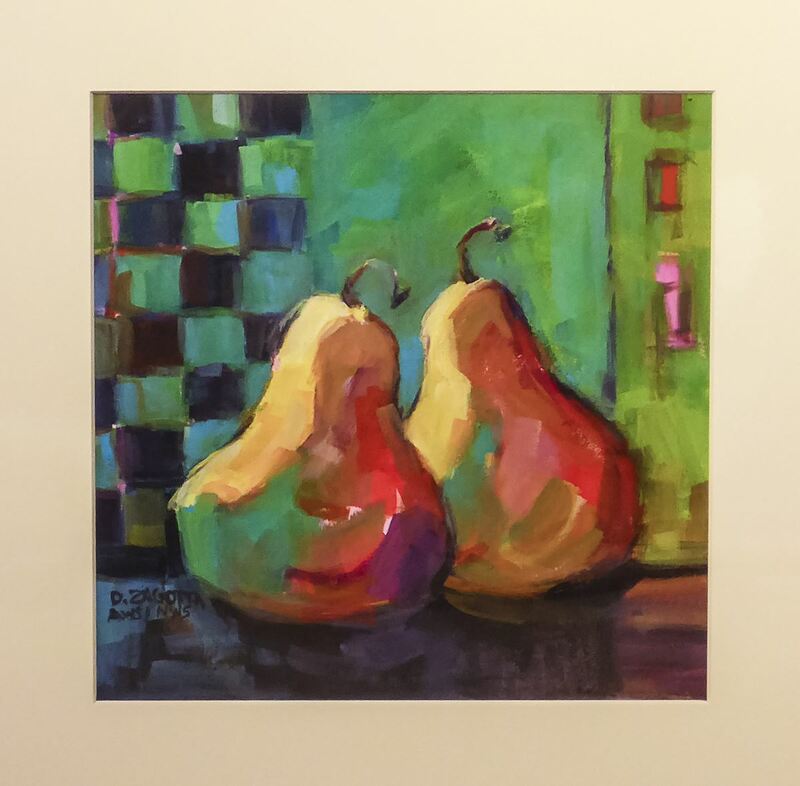 The title is "Les Deux Magots" from her recent trip to Paris. 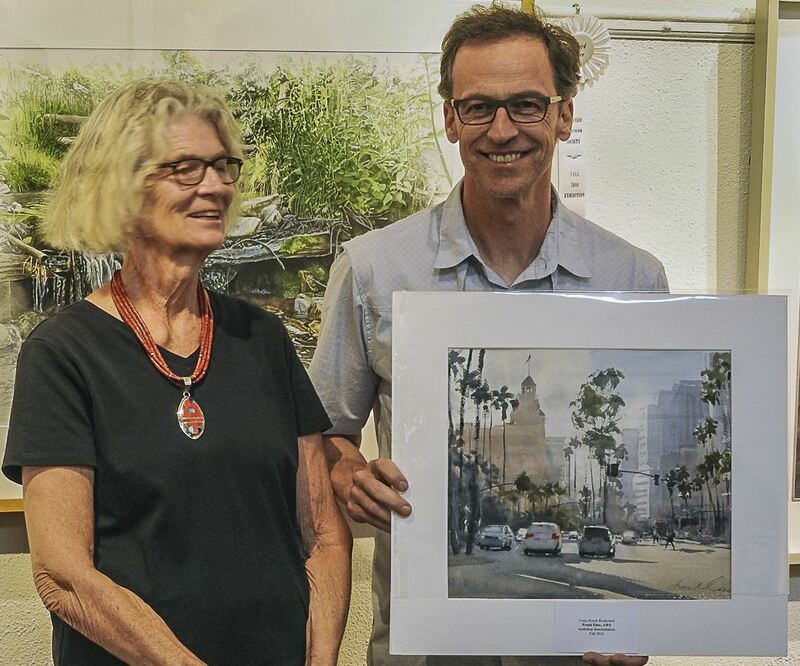 Lynn McLain AWS/DF, NWS, our guest juror for the 2018 Spring Members Exhibition and Spring Workshop Artist, donated (and framed) his painting, "Road Chatter 59" to our Permanent Collection. 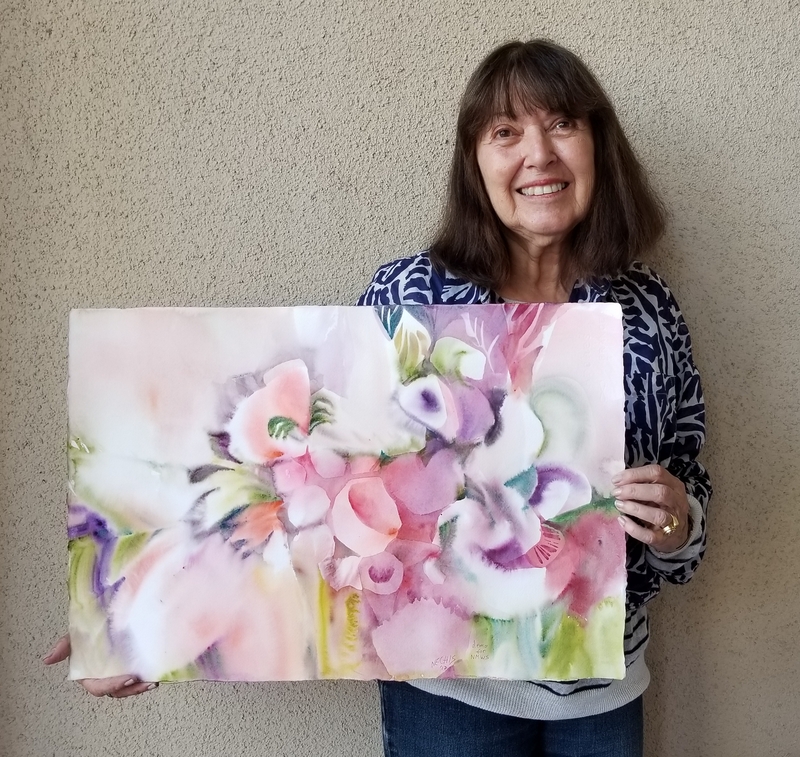 Barbara Nechis, our guest juror for the Fall NATIONAL Exhibition and Guest Workshop Artist, has donated her painting done during her Monday, October 2, 2017 public painting demo. The title is "Audience". 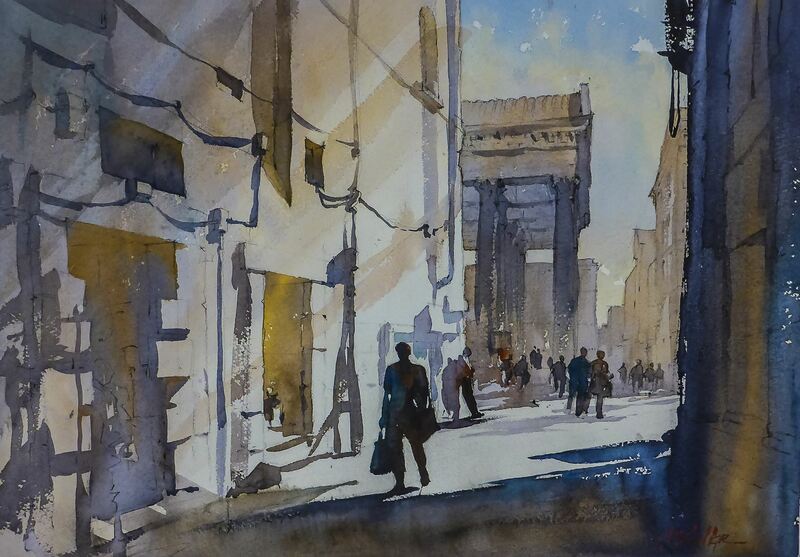 Thomas W. Schaller has donated his painting done during the May 1, 2017 public demo. The title is "To the Parthenon", set in Rome, Italy.